Perhaps not so coincidentally correlated with President Val Smith’s arrival at Swarthmore, see my 2016 article online, “President Val Smith and the Importance of Swat Athletics”, Swarthmore has matched its academic rigor with unprecedented recent athletic success. The women’s soccer as well as the men’s basketball, tennis, and swim teams all frequent the NCAA Division III’s top 25 teams in the country. Likewise, new teams to the party include the men’s lacrosse team with their 2016 ECAC championship, the numerous new record holders on the track and fields teams, and the baseball team with their Centennial Conference championship and ranking as high as #6 in the country. This only covers the tip of the iceberg, as many teams project to perform even better in the 2019 seasons. While these positive performances speak to the hard work of the student-athletes and administration alike, it has sparked a foreign conversation to many on campus: should Swarthmore participate in NCAA Division I athletics? The simple argument for this major movement would be that Division I provides a higher level of competition that these teams could now hold their own against. The college boasts that athletics and physical wellness are integral parts of any educational experience, justifying the physical education requirement for all students. If athletics are included in this academic experience, why should student-athletes not seek to compete at the highest level possible as well? As the third-ranked liberal arts college in the country, according to U.S. News and World Report rankings, Swarthmore boasts a world-renowned curriculum. Why should our athletics be any different? Looking more deeply into the implications of a move to Division I, the line between pros and cons becomes more blurred. First, the main change for student-athletes would be the allowance of dedicated funding for athletic scholarships. The NCAA upholds federal Title IX mandates that require men’s and women’s teams to receive the same number of scholarships proportional to team size, sport, and other factors. However, there are certainly major politics at play in the dedication of scholarships. For one, many have claimed that athletic scholarships without actual salary compensation at the Division I level is a mechanism for exploiting athletes, mainly minority athletes. Furthermore, the involvement of money in the college recruitment process complicates the already tense back-and-forth between student-athletes and the numerous coaches recruiting them. It lends itself to corruption and the abuse of student-athletes. On the other hand, it recognizes the merit, contributions to campus life, and extra work that student-athletes must undertake to master their sport. The bigger issue on this campus would be about the tradition of the current need-only scholarship system. The institution of athletic scholarships would likely bring about a conversation over the creation of merit and academic-based scholarships. On top of this, the funds need to come from somewhere, potentially detracting from need-based scholarship availability while potentially drawing from other budget and endowment allocations.“While there is little precedent for scholarships on campus that are not need-based, the McCabe scholarship is an example. The NCAA’s justification for these scholarships is that Division I athletes both debatably devote more hours, and draw in greater money for their respective schools. This increased revenue could pay for the scholarships entirely and also liven up the surrounding Swarthmore environs with a new exciting entertainment option. Our sporting events would draw greater crowds, our fanbase could support a more dedicated alumni network, and our popularity as a school would grow, bringing in notoriety and an even more competitive applicant pool. This improvement in popularity would only make the school better, bringing on new applicants with their unique perspectives and improving the metrics that these rankings use to judge schools. A legitimate sense of school spirit and this stronger student body could also attract better professors, which, in turn, would also improve the school’s standing further. The transition could create a cycle of improvement for the school’s student body and national standing — especially since it has slid in recent years. But if sports and rankings are not for you, there are other reasons still to support a transition to Division I athletics. For instance, a simple transition to Division I would improve the long sought-after social scene on campus, creating more exciting athletic events for students and the surrounding community to get behind. The new funds from athletics revenue could go towards improved facilities, other athletic programming, or even non-athletic related endeavors entirely. Tongue in cheek, the pro-cyclical nature of such a move could actually work out in this case. Placing the obviously complicated issue of a transition to Division I aside, there are still other questions at play. One of the most interesting would be to see what conference Swarthmore would play in. The Patriot League seems like the easiest solution with a small geographic spread of schools across the Mid-Atlantic and New England. Swarthmore would be the smallest member, but only by roughly 1,000 students, which would only be reduced by the Swarthmore’s stated desire to increase the student body soon anyway. Another option would be to mimic what many consider to be the closest schools to Swarthmore at the Division I level, places like Davidson, Furman, Duke, the Ivy League, and others. A direct transition to any of these school’s conferences would be challenging for a multitude of reasons — namely geographic stratification and competition disparity. Furthermore, any existing Division I program would have far better facilities already in place, potentially creating greater discrepancies in competition level. Other less traditional options would include acting as an independent school, unaffiliated with a conference (like Notre Dame football), or creating an entirely new conference of schools new to Division I from the NESCAC and Centennial Conference (and naming it, I don’t know, maybe, the Little Ivy League?) This process would require approval from the NCAA but could prove to be the most successful for all parties involved. And perhaps the best solution to all of these problems of a transition would be to simply wait, at least until Swarthmore experiences more consistent success across the various teams and the administration further proves its desire to emphasize athletic success. In that case, the school could pilot the transition with increased funding, assess the community’s response, and potentially move further from there. 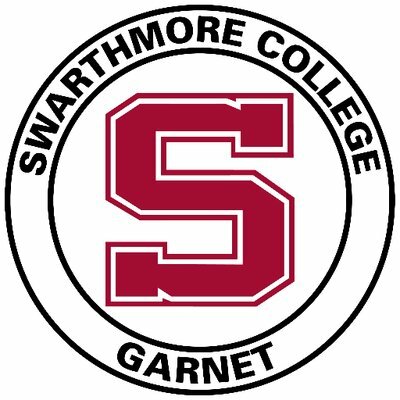 The endeavor may ultimately prove fruitless, but would give student-athletes and administration alike the knowledge of Swarthmore’s standing in NCAA competition and its athletic reputation. In any case, Swarthmore athletes and administration alike have done commendable work to change the state and perception of athletics on this campus. Their work, even if not through scholarships, deserves respect, and enriches student life here. A shift to Division I could continue that enrichment, and deserves sincere consideration given all of its nuances and difficulties.